In gratitude we find awe and appreciation of that which surrounds us. I am often captivated by the simplistic beauty that surrounds us: The paradox that anything and everything can be both something that so easily is dismissed against complexities that reach far beyond what human minds can fathom. I find awe in a sunrise, yet at the same time my mind ponders on the unfathomable nature of the self organising systems involved to produce such awe. Though we live in a world that quite often is surrounded in chaos or rigidity, there is restitution in gratitude. And while at times it may seem impossible to stop and literally “smell the roses” there is evidence based reason to be mindful of how exactly you are cultivating this feeling within. Recent studies, and even new fields of psychology have taken the time to prove the benefits of small pleasures. We are not talking euphoric short lived pleasures that this technology driven world offers us – no, this is indeed the pleasures that the natural world offers in the here and now. The ability to truely become aware and one with presence in such a way as to truly embody a feeling of gratitude for both what we have, and also who we have. The role of gratitude has been seen to increase wellbeing in multiple areas of life, ranging not only from the psychological health benefits, physical health benefits, yet so too, gratitude has been proven to have sociological benefits as well. 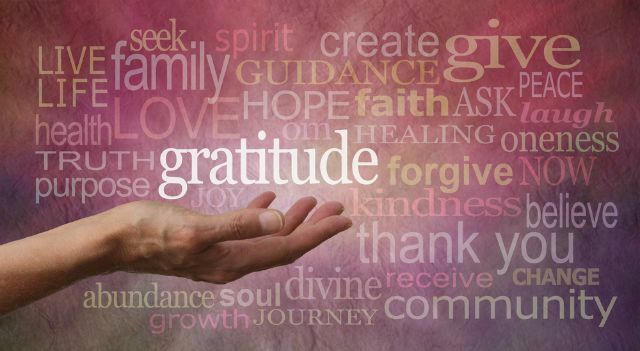 Meaning in terms of a complete biopsychosocial health outlook, gratitude is the practice to cultivate. Furthermore, gratitude, along with many other positive emotions, has been shown to “re-wire” the mind. Meaning, that with continued cultivation through practices such as meditation one can turn a state of being into a trait of being. So, how does one begin to cultivate gratitude? One has the capacity to cultivate gratitude by joining with others in practices that awaken awe for the word that surrounds us. To take a mindful walk and in open awareness and with a focus on the breath to take in the smallest and simplest aspects of life that often go amiss in our busy culture. Take inspiration from great leaders such as Thich Nhat Hahn and create space that opens your heart to compassion and love, joy and equanimity. Further, spend some time and immerse yourself in understanding the science of gratitude and how this can assist you in all avenues of your life.